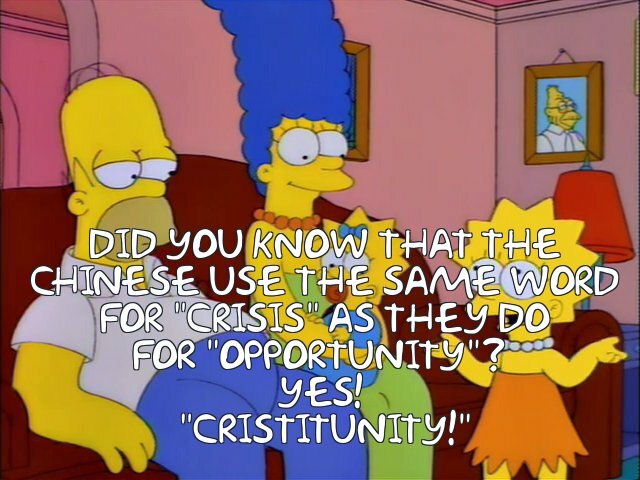 Lisa: Did you know that the Chinese use the same word for “crisis” as they do for “opportunity”? It’s hard to fight your allies. I’m largely sympathetic to Obama, but I don’t really support the permanent war, or torture, or extrajudicial execution by drone, or the clampdown on whistleblowing or… well, you get the idea. So, in my desperate effort to process the new reality I’ve decided to think of this as a crisitunity. Yes, it is a crisis. But, it is also an opportunity. An opportunity to fight against permanent war, for starters. 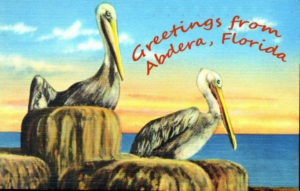 As well as an opportunity to fight for global human rights. *Note: Chinese may not actually use the same word for crisis and opportunity. Posted on November 22, 2016 November 22, 2016 by patadavePosted in The FutureTagged crisitunity.